Scroll down to January 30, 2015 to locate a video in which Tanter explains the complexities of American relations among India, Pakistan, and Afghanistan. Because Pakistan has nuclear weapons, is under attack by Taliban groups while supporting other Taliban in Afghanistan, Washington has no choice but to continue its alignment with Islamabad. 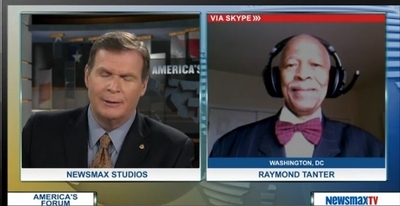 To watch the complete interview please go to: Newsmax TV.